Coaching is vital to ensuring that every gymnast reaches their full potential and it is essential that coaches provide participants with the best possible gymnastics experience. Ensuring that sound coaching practices and ethics are implemented is vital to the continued development of gymnastics and sport in general. Therefore, recruiting coaches is extremely important for clubs to operate, develop and grow. Many coaches starting out are parents, gymnasts, teachers or people from a variety of sporting backgrounds, who want to get more involved and make a difference by helping others to develop, achieve and excel. No experience is necessary to begin coaching and it is possible to get started from as young as 14 years of age (under supervision). 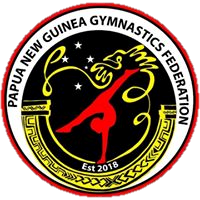 Oceania Gymnastics Federations offer face-to-face courses, online (optional) / theory training and support to those wishing to give coaching a go. Just like coaches, many JUDGES starting out are parents, gymnasts, teachers or people from a variety of sporting backgrounds. No experience is necessary to begin judging and it is possible to get started from as young as 14 years of age (under supervision). Oceania Gymnastics Federations offer face-to-face courses, mentoring and support to those wishing to give judging a go. The key role of judges is to officiate at competitions. Ensuring that sound judging practices and ethics are implemented is vital to providing participants with the best possible gymnastics experience and the continued development of gymnastics and the sport in general. Undertaking education and training as a judge is the first step to fulfilling this important role. Oceania Gymnastics Federations each adopt a Judge Education Pathway to guide the learning process.